Perhaps in connection with the latest court appearance today and yesterday of five men charged in connection with the October 2, 2015 raid on Glencolton Farms, The National Post and the Financial Post have recently run stories highlighting the absurd amount of money which the government has been spending on prosecuting farmer Michael Schmidt and his friends over what amount to victimless crimes of supplying raw milk to people who want it. Says Michael Schmidt: “Wow we found George. After 15 months on the lam he showed up in court to answer to charges against a Bothwell Hugh The judge instead of being happy to see him ordered him arrested. 5 riot cops took care of him and later we got happily re- United. 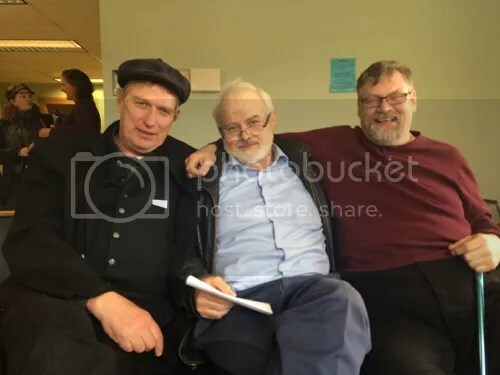 He got released on his terms according to him.” That’s George in the middle between Michael Schmidt on the left and co-accused Robert Pinnell, on the right. Did infected sheep come from U.S.? This was the story from February 2015 that appeared around the time of the start of pre-trial hearings in the sheep-napping conspiracy case involving Michael Schmidt and Montana Jones. Once the presiding judge slapped a publication ban on the proceedings, the National Post took down this story. But now that the case is closed — it was thrown out due to having taken too long to come to trial — reporters can again report on it, and the National Post have put the story back up. Montana Jones and one of her threatened Shropshires, earlier on in the long saga. This photo from Ursula Fugger (Shropshiresheep.org) was used in the National Post story. “OTTAWA — Farms in the heavily protected dairy, poultry and egg sectors, concentrated primarily in Central Canada, are far more likely than those in other sectors to be high-priced operations owned by corporations, according to an internal 2011 analysis done by Agriculture Minister Gerry Ritz’s department. “The strange yarn of the fugitive flock – heritage sheep said to be related to the first sheep that came from England to Canada – is coming to a messy end after food inspection officials finally found at least some of the quarantined sheep stolen in a high-profile bid to save them from the slaughterhouse. Canada Food Inspection Agency officials found 28 sheep and has started to kill them, said their owner, Montana Jones. The sheep in this photo is one of the 9 that tested negative, Camirro 36J, who is the 13-year mother of the sheep that CFIA claims tested positive for scrapie. Scrapie is typically passed on via birthing fluids to offspring from infected mothers. Photo by Montana Jones. **CFIA Sheep/Scrapie NEWS UPDATE ** ALL 9 killed are negative for scrapie. 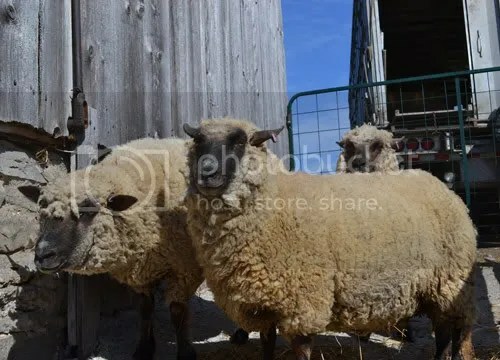 May 3: Hastings, ON— CFIA seized and killed 9 pregnant Shropshire sheep on Saturday to determine their health status, as CFIA suspected the animals were infected with scrapie. The CFIA Ottawa lab test results now indicate they have all tested NEGATIVE for scrapie. I happened to catch a few moments of Sun News TV the day that the Kingston, Ont., courthouse was shut down due to a bomb threat during the Shafia trial. The reporter was marvelling over the low level of security he had observed at that courthouse up until then. There were no metal detectors at the doors, no police officers “wanding” him as he entered, etc. He must have been from Toronto. He didn’t realize that the absence of metal detectors is normal out here in small-town eastern Ontario.